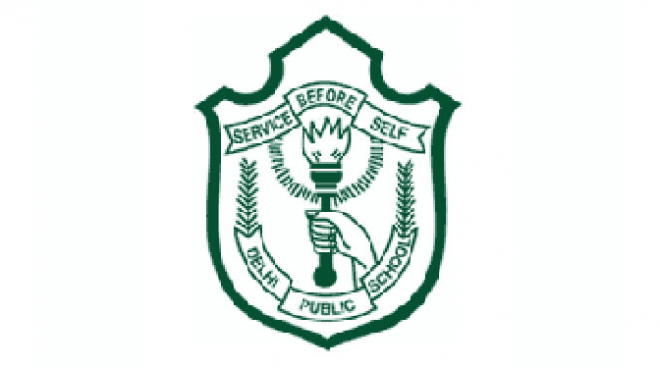 Delhi Public School is a brand name which has its own appeal in the education world. Known in short as DPS it enjoys a special place in the minds of the parents looking for an excellent education for their children. The DPSite community is exceptionally large and growing in number at a fast pace. But for parents with two or more DPS schools in the same city there is likely to be a comparison. Yes I are talking about DPS Sector 45 (also known as DPS Gurgaon) and DPS Sushant Lok. One will really be surprised to know that these schools with exactly the same name barring the suffix and which are located just five kilometers part from each other can be so different. Let us look at some facts associated with the two schools. DPS Gurgaon was set up by Ravi Jaipuria and Dhara Jaipuria as a franchise of the DPS Society in April 2002. The school started with classes up to the middle school level and today it offers classes from pre Nursery to class XII. Trinity wisdom welfare educational and cultural society also started the Delhi Public School Sushant Lok School as a franchise of DPS Society but in April 2005. The school started with classes up to the middle school level and today offers classes from Nursery to class XII housed in two buildings. What makes DPS Gurgaon & DPS Sushant Lok different? DPS Sector 45 Gurgaon accepts students from pre-Nursery while DPS Sushant Lok accepts them from Nursery, though Apple Blossom Pre-School, which offers pre-nursery in the same locality, is from the same promoter as of DPS Sushant Lok. So one offers an early start of pre-nursery without the hassle of changing from play school to formal school, while the other may be more suited for parents looking to give pre-nursery a miss and only start their child with nursery. Number of students in DPS Gurgaon is around 6000 which is almost double the DPS Sushant Lok strength of around 3300. A school with a larger student base is good and not is something that is an ongoing debate. While one would offer bigger scale of operations and a larger alumni community, the other might be able to offer more personalized attention. Ms. Aditi Mishra has been the founder principal of DPS Gurgaon while there has been a change at DPS Sushant Lok where Ms. Jyoti Gupta made way for Ms. Ruchi Seth in 2008. A founder principal definitely would offer stability to a school, but many schools including a few DPS may have benefited from a change in leadership in some cases. Hindustan Times conferred the rank 7 to DPS Gurgaon and rank 10 to DPS Sushant Lok for 2013. Similarly they were ranked 12 & 16 respectively in 2014 by Education World. School ranking like any other ranking should always be taken with a pinch of salt as they indeed provide a perspective but may not always tell the entire story. How are DPS Gurgaon & DPS Sushant Lok similar? Most obviously, they are both franchisees of the DPS Society, thus not owned and operated directly by the DPS Society. Unlike the flagship DPS schools from Delhi, both follow 3.5 years as the minimum age for nursery admission instead of 3 years. The campus area is almost similar with DPS Gurgaon occupying 5.1 acres and DPS Sushant Lok spread over 4.67 acres. Both the schools are at a distance of 4-7 KMs from the prime highways in Gurgaon, i.e. the Delhi Jaipur Highway (NH 8) and the Mehrauli-Gurgaon Road. Hence they provide easy access to the residents of Gurgaon and Delhi. Both schools boast of a good infrastructure with smart classes, medical room, library, learning center, good laboratories and Art, Dance and Music rooms. The one time admission fees to both the school seem similar. With the similarities and differences brought out here it is up to the parents to understand the real ethos and feel of the schools beyond the DPS tag. Based on my internet research, both schools have its share of praise and slander, but my idea in this blog is just to lay out some the facts available on the internet in an easily comparable form and leave the choice for the right DPS school in Gurgaon for their children to the parents.